Big agenda for next general meeting on October 14th at 6:30. The Treasurer’s report, After School Enrichment, Walkathon recap, Book Fair, Tigerfest, votes on popcorn maker/projector, Craft Fair in December and classroom needs vs. Marquee to name a few. Please come and let your voice be heard. We need your help and support. 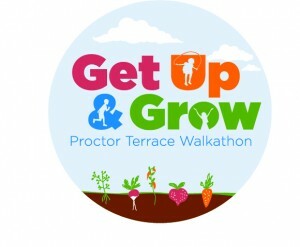 The money for the Walk-a-Thon is coming in, but we have only reached half of our goal. The due date for donations has been extended to Monday, October 13th. Our hope is to raise $25,000. Remember all proceeds from this event goes directly to programs and technology for our students. We are all committed to providing our students with the best educational opportunities possible but need your financial support to make this happen. The Walk-a-Thon assembly has been postponed and will take place next Friday, October 17th. 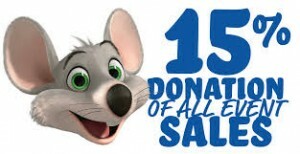 We have a dine and donate coming up on Friday at Chuck E. Cheese. The store is in Rohnert Park near Food Maxx. They have completely remodeled the store and added tons of new games. The also made Chuck E. Cheese a lot less scary looking for the younger kids, haha! Each child will receive a sticker for 10 free tokens to use that night. Please remember to bring your flyer and invite family and friends because 15% of all proceeds goes to our school. 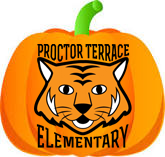 Preparations are underway for Proctor Terrace Elementary School’s annual Halloween carnival for October 26th from 12-3pm. Tigerfest is hosted by the PTA and can only happen with your support. If you can help, please return form to your child’s teacher or to the front office. Click here for the Tigerfest form. Pre-order your tickets by Wednesday, October 22nd and receive 3 tickets for $1.00. KidScience After-School Program starts next Thursday, October 16th from 2:30-3:30 pm. for 6 weeks. “Science” will love this hands-on class. For grades 1-6. Art and Soul Mixed Media Art Classes will begin on Monday, November 3rd and will continue through May. Direction 5 Culinary Program will tentatively begin on Friday 10/24 from 2:30-4 pm in the MPR Kitchen. Not only will kids get to cook, but they will learn about nutrition and health. This is an amazing program!